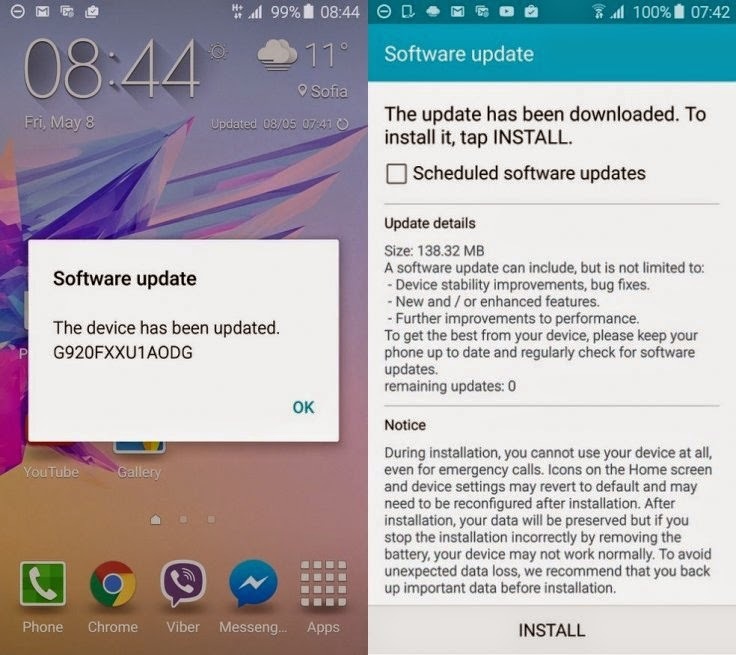 Samsung is rolling out a small OTA update for the European model of Galaxy S6 (SM-G920F). and enhanced features and further improvements to the performance. screen variant, the S6 Edge, confirms GSMArena after observing the phone’s stability. Interested users who want to manually install the update, can check our guide below. You should have an unlocked Galaxy S6 Edge SM-G925F model. The phone will lose custom ROM once the stock update is installed. Also, the custom recovery will be replaced by the stock version. device, verify the model number by navigating to Settings>> About phone>> Model number and then install firmware based on the model number. Step 10: The installation should start now.